The Commissioner also admitted that fossil fuels might still be needed in some industries like plastics or petrochemicals where they have no alternatives but not in road transport where it is expected that mobility will prevail. 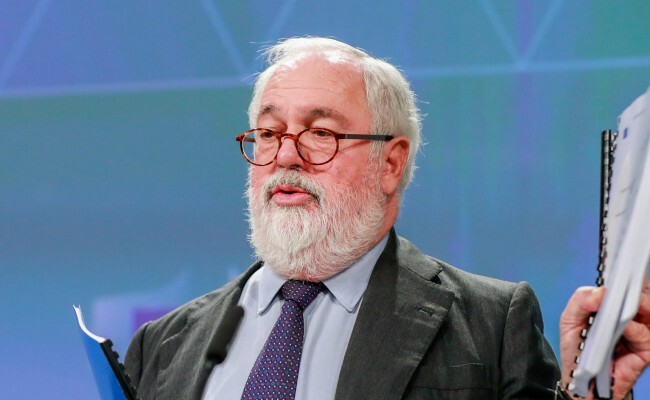 “Only e-gases, Power-to-X and hydrogen will be present there – for sure,” Cañete said in reply to a question from the media on the future role of gas in the EU’s energy mix. “That’s why we must be very clever when managing investment in infrastructure that they don’t become stranded assets,” he warned and stressed that therefore, the bloc will focus on energy infrastructure and “on electricity projects and not so much on gas pipelines”. Mr. Cañete’s comments might have been aimed at the Nord Stream II gas pipeline project, which Brussels has been fiercely against over concerns that the project will boost reliance on Russian gas and thus weaken Europe’s attempts to safeguard Ukraine’s role as a transit country. Observers nevertheless agree that given the context in which message was delivered, the Commissioner’s comments were most likely targeted at all pipeline projects that could increase the EU’s dependence on Russian imports.